One nun is breaking stereotypes about women and clergy alike. 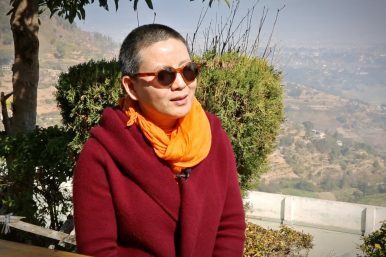 Clergy are not typically known for being progressive, but Nepali nun Ani Choying Drolma finds even the “secular” world to be conservative. Known as a “Rock Star Nun” due to her career in music, she challenges notions that many people have about the role of women and clergy in society. UNICEF Nepal’s first-ever National Ambassador, she has performed at concerts, singing for mainstream audiences across the world, including in the United States, Germany, Netherlands, and China. Singing gives her money, which she uses to run a boarding school for young nuns, providing both religious and modern education. She has also established a kidney treatment facility in Kathmandu in memory of her mother, who died of renal failure a few years ago. The Diplomat visited her in Kathmandu to speak to her about her unusual journey. Five months on, the justice for Nirmala campaign is still going strong – but still unheard by the government.